– I don’t know why there are so many new Mash-Ups with Britney..but whatever. – I really like this one, you guys should download it! Download these tracks before they get deleted. 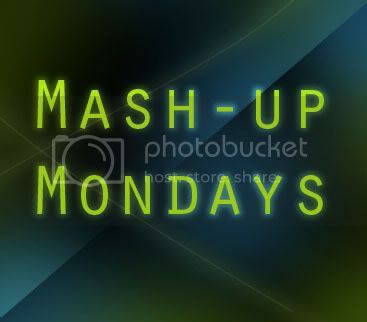 The first Mash-Up Monday of 2010! I hope you all have a great year to come. Cheers to another decade of new music. DJ Earworm was the first DJ that I introduced on Room-Noise and it was because of his mash-ups that inspired me to find out more about other DJs that does similar work like he does. Once again DJ Earworm has come up with his famous mash-up of “United States of Pop” a combination of Top 25 Billboard songs in the year 2009 into one song. When I first watched his video it was at 700,000 but I’m sure it’s reached almost 3 Million by now. I got some really sick mash-ups this week. Finally a new single from Titus Jones! This post was written two weeks ago, so I’m saving it till NOW for you guys! He hasn’t even put it on his site but I had to search my bum off for his new single. I also found another good Mash-Up DJ “The Metamorphosis” just go below to check out his website. He’s done some pretty decent mash-ups. Enjoy! NOTE: some of these download links won’t last very long since mediafire tends to delete them after a certain time. So download them while you can!